Spent almost a week in Japan and we had a ball of a time. Highlights included staying in the luxurious 5 star Conrad in Tokyo (THANKS DAD!! ), waking up late, sushi at Tsukiji, Arashiyama in Kyoto…. 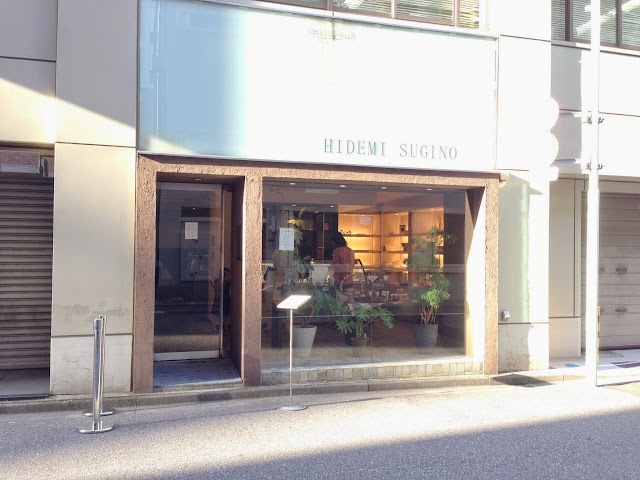 and of course Hidemi Sugino. Read about the queues to his shop but we didn’t have such problems. On our first visit, we went on a weekday close to his opening time an there were still lots of seats available. Second round was a Sunday afternoon and there was only a couple in front of us in the queue so we got seated in o time at all. The perks of going early is the wide selection available. His cakes fly off the shelves because people do takeaway his cakes (do note that some can only be consumed within the shop). *Photos are not allowed but it seems like they close an eye if you use your camera phone at the table. Regardless, I took all these photos surreptitiously with my phone. Isabelle- recommended if you like bright, berry flavours. the layers are done so well, it’s easy to slice without them separating. Tartelette au Caramel Passion. I think the passion caramel is quite special. The refreshing sweet acidity i a good pairing with the caramelly notes. Cecile. 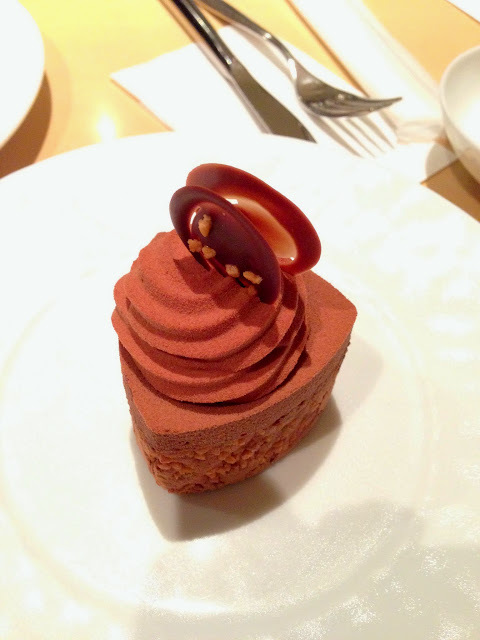 A hazelnut milk chocolate creation. This flavour combi is a bit dated for me, but I’m sure there are some people out there who love this pairing. Ambroisie- I didn’t get the pistachio in the mousse. Maybe it’s just me! That said, the textures and flavours made it a very good chocolate cake. And the presentation! Gosh. The chocolate mirror glaze is done beautifully. Definitely the favourite during our first visit. Neo- the most unique combination, and also, my favourite after ambroisie and sous-bois. 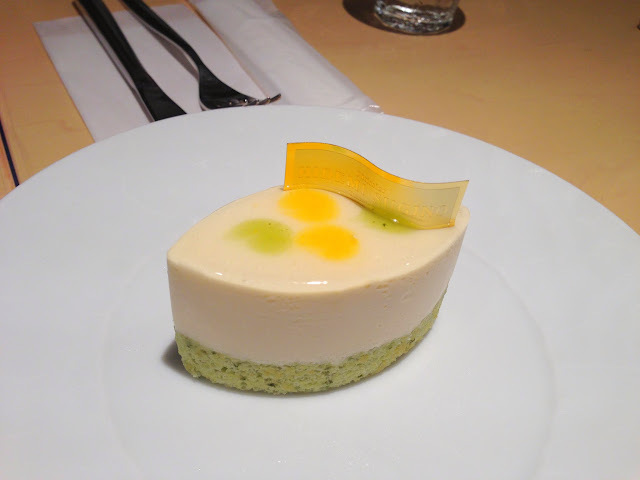 Basil Sponge, cream cheese mousse, and mango. 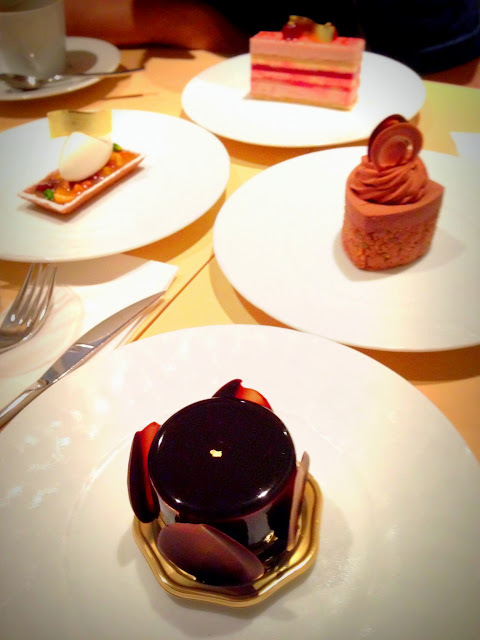 I lovedthe herby fragrance that was infused into the whole dessert. Very nice! Herbs are the new red for desserts! Diplomate- this is a bit too eggy for our liking. It seems like a reinterpretation of bread and butter pudding. Eggy pudding meets sponge cake and dried fruit. Sous-Bois [MUST TRY] ❤ I especially love the tart blackberry compote. 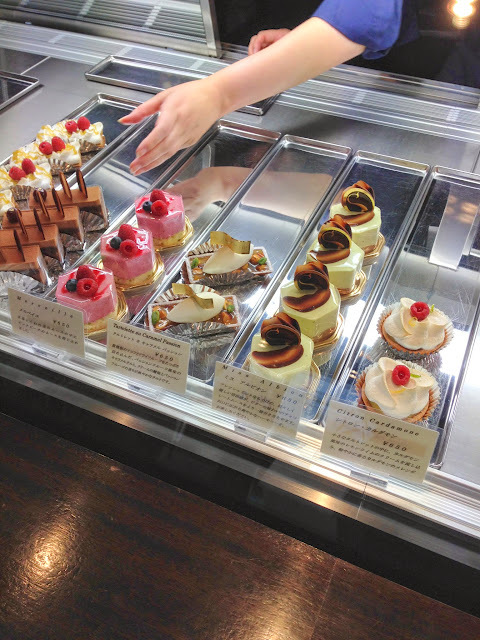 Within Ginza there are tons of shops selling japanese-inspired french mousse cakes. But Hidemi Sugino has gained quite a cult following after taking the win for Japan in the 1991 Coupe de Monde de la Pâtisserie. Well ultimately awards don’t matter- the proof is in the pud. Even with my sky-high expectations, Hidemi Sugino didn’t disappoint. 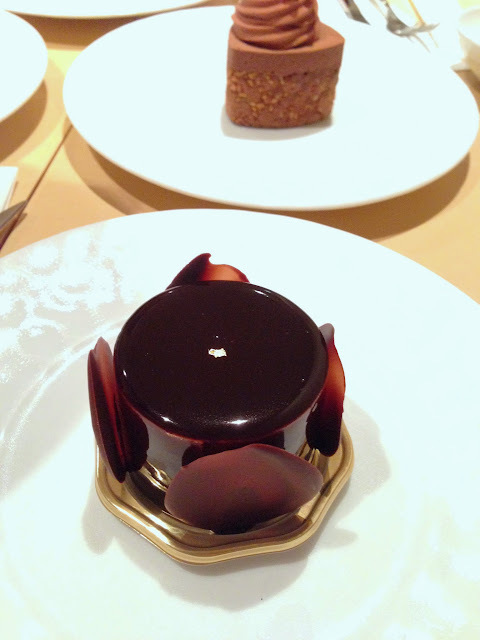 His entremets are beautiful but what really stands out for me is the silky smooth mousse in all of his cakes. It’s not oily, light but not too airy, and it has a wonderful silky mouthfeel. 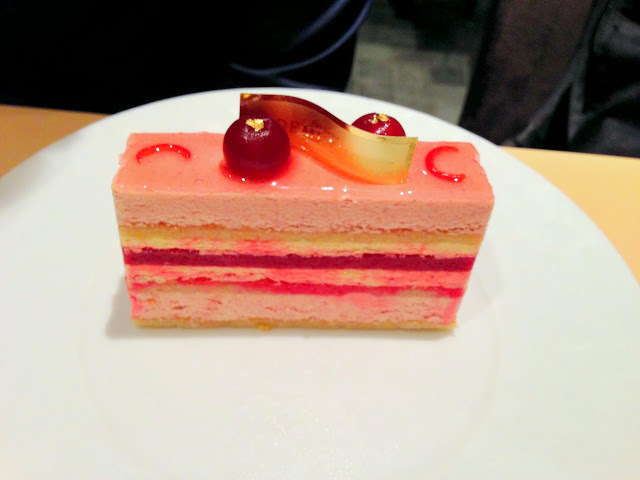 In terms of flavours, I’m most enamoured by how well he manages the sweetness and balance of flavour in his creations. The caramel in his tart is not too sweet, and done just right without getting burnt. 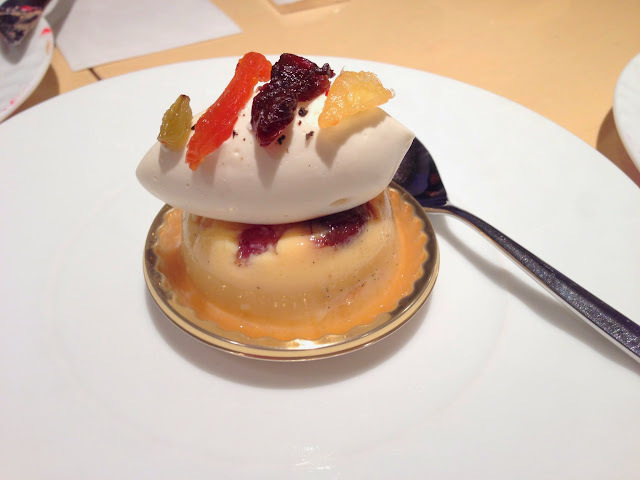 I thought the pairing of passionfruit is quite clever because it provides a fruity, acidic accent to the caramel. 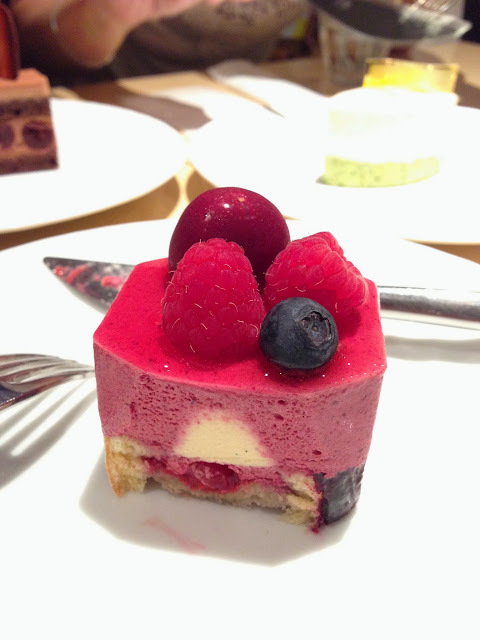 He is also very good at grasping the tart, bright flavours of berries. 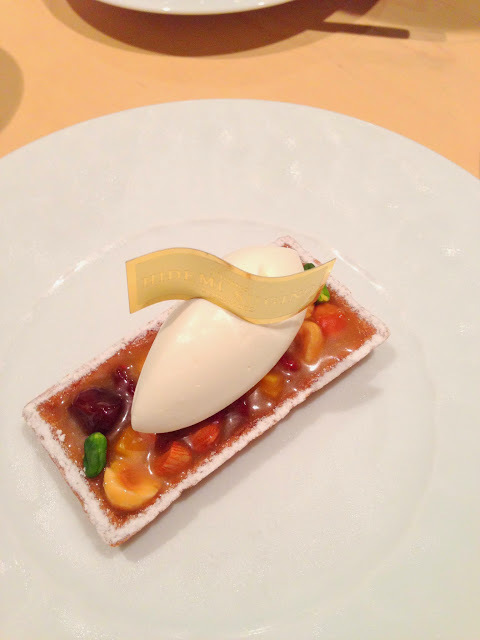 My favourite creation was not his signature Ambroisie, but the Sous-Bois because of its bright happy flavours. I would have preferred his vanilla, and nut flavours like pistachio and hazelnut to be stronger in his mousses. Also sometimes when there are too many flavours grouped together within a creation and they are all expressed in a subtle way, it’s easy to lose them. 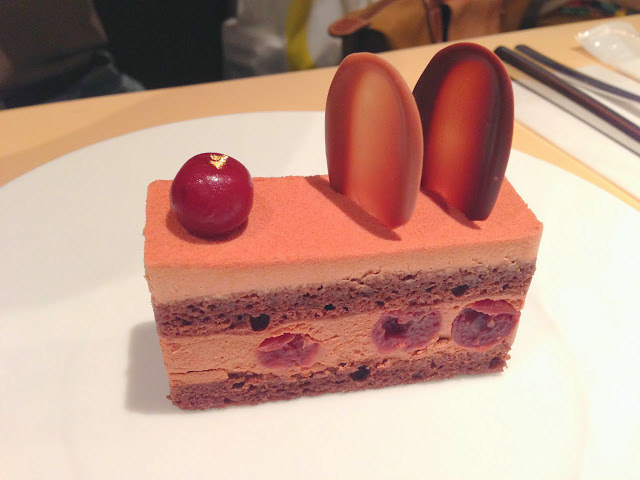 I haven’t got this excited over mousse cakes in a long time (k ki is re-opening SOON!!). Definitely worth a trip down if you’re in tokyo.